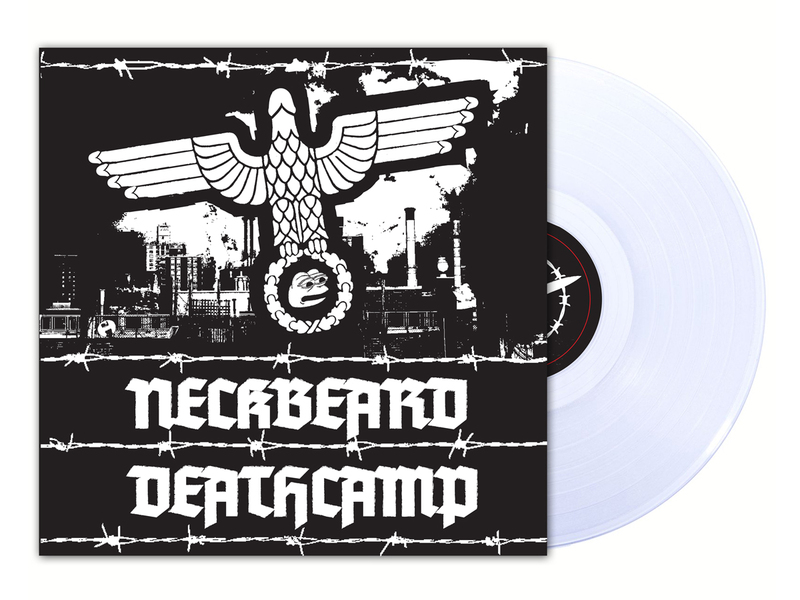 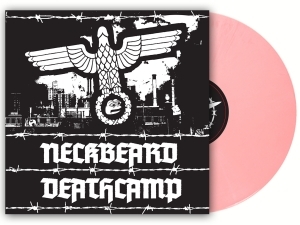 Neckbeard Deathcamp White Nationalism is for Basement Dwelling Losers 12"
NECKBEARD DEATHCAMP IS AN ANTIFASCIST SUPERSOLDIER CELL ON WARKRUSADE THROUGH THE AMERICAN WASTELAND. 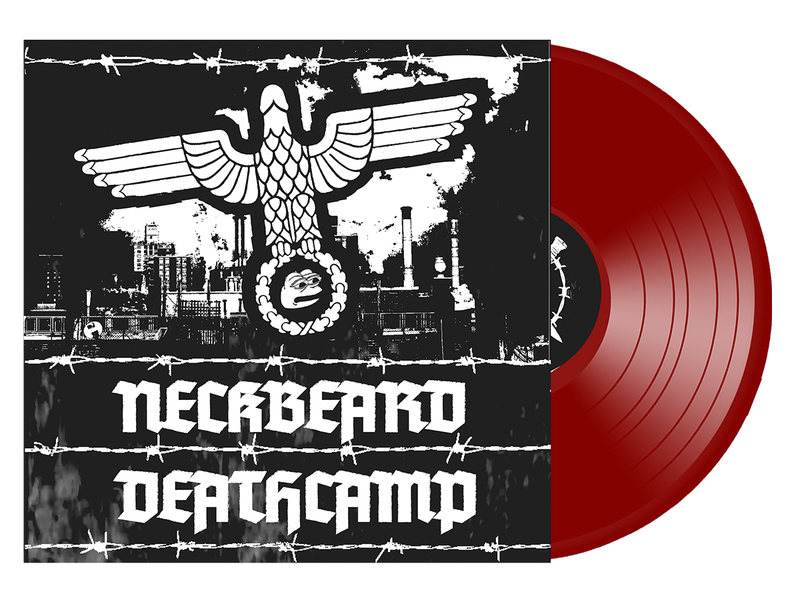 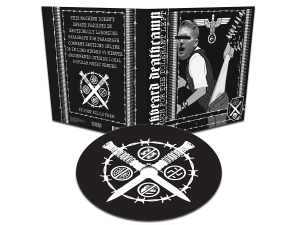 FOUNDED IN 2018 IT IS COMPOSED OF SUPERKOMMANDO UBERWEINERSCHNITZEL ON GUITARS, HAILZ KOMRADEZ ON DRUMS, AND KRIEGMASTER HATESTÜRM ON THE MIC. 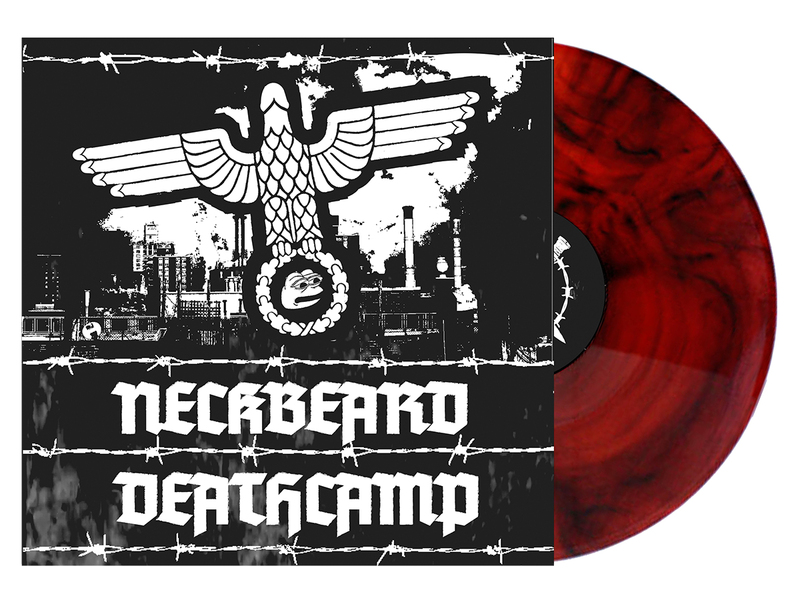 AS THE FIRES OF NECKBEARDED FASCISM KINDLE IN THE COLLAPSING UNITED STATES. 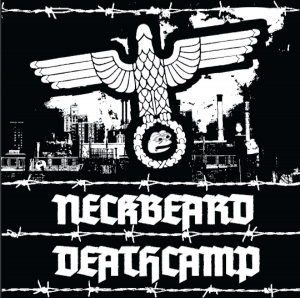 THE SPARK WILL BE EXTERMINATED BY THE AWESOME MIGHT OF NECKBEARD DEATHCAMP.